Sudden death of a woman who has just delivered a baby is a catastrophic event for families and healthcare professionals. A husband receives the horrifying news that the mother of his newborn has suddenly died. He is not satisfied with the explanations the doctor gives and goes to a plaintiff attorney. The plaintiff attorney gets a copy of the autopsy. He seeks our help as legal nurse consultants to determine if the case has merit. 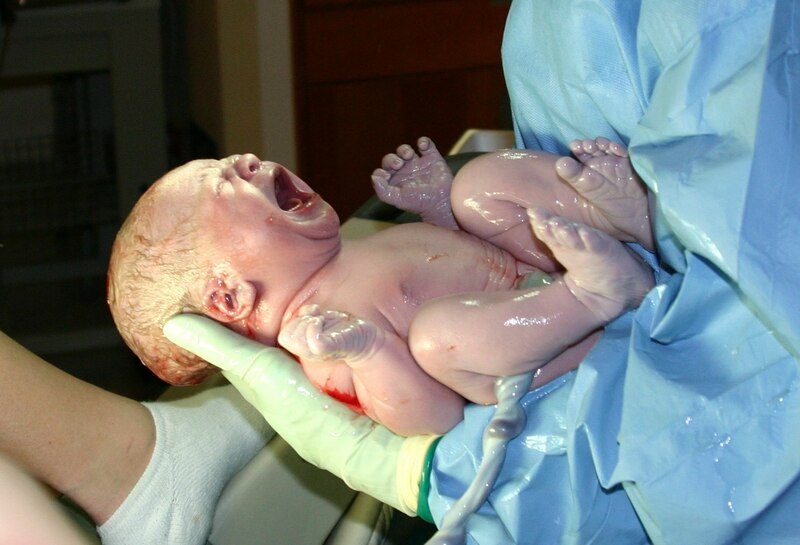 Amniotic fluid embolisms are rare, which makes it difficult to identify risk factors. It’s estimated that there are between 1 and 12 cases of amniotic fluid embolism for every 100,000 deliveries. An amniotic fluid embolism can cause brain injury or death. In fact, it causes up to 10 % of maternal deaths. Death can occur quickly. Healthcare professionals treat amniotic fluid embolism with oxygen, insertion of central venous catheter and arterial catheters, fluids and medications. Pregnant woman are at increased risk for developing blood clots in their legs, which may travel to other parts of the body. Blood flow is more sluggish in the veins of the legs due to the pressure of the enlarged abdomen. Postpartum patients are at increased risk of a blood clot developing for 12 weeks after delivery. This is a longer period than healthcare professionals previously recognized. Symptoms of a blood clot vary according to the part of the body that is affected. They include chest pain or pressure; difficulty breathing; swelling or pain in one leg; sudden severe headache; or sudden loss of speech, vision, or difficulties with balance or strength on one side of her body. The symptoms result from tissue destruction caused by loss of blood flow. A saddle embolus bridges across the pulmonary artery from the heart. It can block circulation to the lungs, and if it is large enough, can cause death. The most common symptoms of saddle embolism are shortness of breath and syncope or dizziness. These symptoms can be present in other conditions so they do not always trigger a suspicion that there is something wrong. Gretta delivered her son on April 12. On April 16, after she was home, she developed a sudden headache and inability to talk. Her mother took her to the emergency department, where she was diagnosed with massive bleeding in her brain. She died in the ICU. The incidence of CVT during pregnancy and post-partum ranges from one in 2,500 deliveries to one in 10,000 deliveries in Western countries. The greatest risk periods are during the third trimester and in the first four postpartum weeks. Up to 73 percent of cerebral venous thrombosis in women occur during the time immediately after childbirth. A stroke occurs from the rupture of an artery in the brain, yet the symptoms can be the same. Treatment is different for a venous clot versus an arterial bleed. A woman with a clot in her brain would receive Heparin IV after an MRI confirmed the cause of the bleeding. She might be on anticoagulation for 3-12 months or even the rest of her life. Some women inherit an increased risk for development of a blood clot such as Sarah, who developed blood clots in her leg when she was a teenager. Her father was also tested and had the same genetic risk for clotting; he also developed a clot in his leg. Sarah was fortunate that her increased risk was discovered before she became pregnant. The prothrombic factor can be detected in a blood test. This is a predisposing factor to form clots which causes about two thirds of the cases of cerebral venous thrombosis. The damages associated with brain damage or death of a mother are huge. The questions asked in a medical malpractice case revolve around prevention, diagnosis and treatment of the embolism. An obstetrician or nurse midwife may never see a case of one of these rare complications, yet needs to be aware of the risk factors for these complications. The practitioner should inquire about family history of increased risk of blood clots. If warranted, testing for the prothrombic factor should be carried out. The practitioners should be familiar with the OB venous thromboembolism guidelines. Postpartum patients should receive appropriate education about the risk factors and symptoms for clot development. And finally, astute and early diagnosis of the complication may save lives. Med League nurses assist medical malpractice attorneys by providing in-house or physician screening of potential medical malpractice cases. Puzzled about whether you should take that case? Contact us we can help.